When it comes to the political arena in Washington, D.C., most of us see the same thing – the 30,000 foot view. We see and talk about the contentious debates taking place on the economy, health care reform and energy policy. But while national attention is focused on those issues, important decisions are being made on a number of fronts that affect not only the consumer packaged goods (CPG) industry, but consumers in the United States and around the globe. And the Grocery Manufacturers Association (GMA) is on the front lines. GMA exists to help its member companies innovate, connect with consumers and provide responsible solutions to the major social issues of our age. By working with industry, government and non-governmental stakeholders to shape policy outcomes, our member companies are left to do what they do best – responsibly develop and provide consumers with innovative products that sustain and improve the quality of life for consumers in the United States and around the globe. The industry is aggressively pursuing a comprehensive approach to waste management, both in packaging and food waste. Our 2011 report on environmental success stories highlights innovative solutions companies are employing to reduce water consumption and energy use, and as importantly, serves as a tool for other companies to gain insight and inspiration into ways they can further “green” their operations. And we are forging partnerships with leading academics and NGO groups to inform, advise and evaluate sustainability initiatives. An area in which the industry has made particularly great progress – and that we believe holds even greater promise – is waste management. For decades, the CPG industry has led efforts to meet the nation's solid waste challenges through pioneering solutions that reduce waste, improve packaging design, improve recyclability of packaging materials, and through programs that educate consumers on the importance of recycling. Our efforts have resulted in dramatic improvements in packaging recycling and recovery. In fact, a 2011 McKinsey/Georgetown Economic Services report found that 1.5 billion pounds of packaging has been voluntarily reduced by the CPG industry between 2005 – 2010, and another 2.5 billion will be avoided by 2020, for a total reduction of 4 billion pounds between 2005-2020. At the same time, the U.S. has made tremendous progress on recycling rates. Americans recycle at a higher rate than peer countries such as France and Spain. In particular, recycling of containers and packaging in the U.S. far outperforms that of other materials. Packaging is recycled at a rate of more than 48 percent – which is nearly 15 points higher than overall recycling rates for solid waste. From 2008 to 2009 alone, the U.S. saw a 9 percent increase in recycling rates. While these results are pleasing, food, beverage and consumer product companies know we can do more. In 2011, we established an industry-wide collaborative effort to address waste across the entire lifecycle – from design to disposal to recovery. Through this effort we will share model practices across the industry, continue to support innovation on packaging design, and sponsor new research to better understand consumer behavior and the many options for solid waste management. Coordinating this initiative through GMA, the leading trade association of the consumer packaged goods industry, will help advance cross-industry collaboration and innovation. Non-governmental organizations will be key allies in the coalition’s efforts to reduce waste to landfill. One such example is the Curbside Value Partnership. Curbside Value Partnership (CVP, www.recyclecurbside.org), is a national nonprofit that works one-on-one with communities around the country to grow participation and tonnage in curbside recycling programs. You’ve heard the phrase “all politics are local.” Well, so is recycling. CVP recognizes this fundamental fact, and works hand-in-hand with municipal governments and other local stakeholders to tailor recycling programs that meet the specialized needs of individual communities. 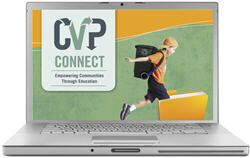 Taking a bottom-up, grassroots approach, CVP offers an innovative model to stimulate even greater recycling and recovery rates in the U.S. Leveraging a new online portal, www.CVPConnect.org, CVP provides communities with everything from strategic planning to customized promotional materials– the only requirement is that participants report the results of their efforts. By consistently evaluating results, CVP can not only benchmark progress, but also share key learnings throughout its network. If your company is not engaged with CVP, I encourage you to consider it. Like CVP, the Grocery Manufacturers Association recognizes that we cannot take a one-size-fits-all approach to reducing the industry’s environmental footprint. The businesses that comprise our sector are as unique and varied as the consumers they serve. But they do share a steadfast commitment to environmental stewardship. Working together, and engaging a variety of stakeholders, we are leveraging the collective leadership and commitment of the industry to produce affordable, quality products and preserve our natural resources for generations to come.